YHM: Shocking Imposition of criminal charges on Ishita… Rajat gets confronted for his negligence. The doctor informs Sudha about the new problem. Sudha calls Rajat to get answers. Rajat worriedly lies to her again. He promises to manage everything himself. He gets fed up of his addiction. He also wants to get rid of his alcohol addiction so that his reputation doesn’t suffer. He makes an exit from the hotel before Ishita comes there. 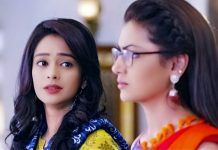 Manager gets bribed and lies to Ishita and Raman. Ishita scolds the manager for his lie. Rajat acts innocent in front of Ishita. She yells at him and asks him to meet her if he wants to know his mistake. Rajat asks her not to visit him at the hospital. He tells her that he will meet her at her house to clear her misunderstanding. Ishita decides to give a fair chance to Rajat. The family waits for Rajat to come home and clarify. They stay tensed. Simmi gets angry knowing about Rajat’s mistake. Raman asks her to not do anything till Rajat accepts his crime. The lady bashes out Rajat when he arrives. Everyone blames Rajat for his blunders in the surgery. Rajat asks Raman to take treatment from any psychiatrist. 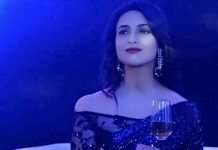 Ishita scolds Rajat for proving Raman mentally unstable. Rajat asks her if she has any proof against him. The lady provides the proof. Ishita asks Rajat to answer them now. Rajat tricks them once again and tells them that the lady’s husband’s final rites are done by now. He gets a clean chit once again. The lady tells her brother-in-law about Rajat’s mistake. The man denies to accept this reports. Rajat gets the fake reports made to have an easy escape. He asks Ishita to be sure before blaming him this way. Raman and Ishita fall helpless when Rajat proves all the evidences wrong. Rajat tells them that he is a doctor, he won’t kill his patients this way. He destroys the evidences and turns evil to plan against Ishita. Raman is sure that Rajat has bribed the people to change the reports. Rajat sends his aide to fool Neelu. Neelu wins a huge amount by lottery and takes money home happily. Rajat calls the media there and reveals about Raman and Ishita’s blames. He lies to the media about Raman’s demand of one crore. Ishita tells the media that Rajat is lying. Rajat gets the money from Neelu and shows it to the media, proving that he was forced to pay them the money. He defames the family. He asks the media to see their truth, how they have blackmailed a reputed doctor. The media gets against Raman and Ishita. Neelu tells Simmi about the fake lottery call, because of which Raman and Ishita fell in trouble. Raman tells the media that they want to expose Rajat. Simmi understands that Rajat is laying the trap for Raman. Raman shouts on Rajat for doing this drama. They tackle the matter to send away the media. Simmi reveals about the trap laid by using Neelu. Rajat calls it a lie. Rajat tells the media that Raman is making his maid lie. He then traps Ishita in the criminal blame. He asks the media to see Ishita’s truth. Ishita gets questioned by the media. Rajat imposes criminal charges on her to get free of all the accusations on himself. Raman realizes that its not easy to expose Rajat’s crime. Ishita and entire family support Raman, and take medical help to prove Rajat’s blunder.